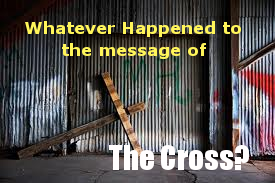 Would They Have Killed Jesus if HE Preached the Same Message the Church Preaches Today? Worship Leaders: It IS all about YOU! Does Worship Really Need To Be Exciting? Poll: What is the Most Important Element of Corporate Worship for you Personally? When Did “Worship” Become the Singing of a Song? Is Worship Music a Gift or Has it Become our God? If Your Church Eliminated the Singing Time, Would You Find a New Church? Can You (Personally) Worship God Without A Band or A Song? Is the Casual Approach to Church Producing Casual Christians? 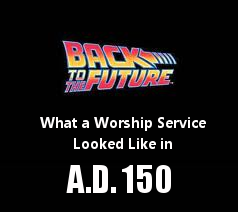 Can You See The Difference Between Contemporary Worship and Early Church Worship? A Compelling Alternative to Calvinism? The Seeker-Sensitive Model: Has the Quest for “Relevance”, Made the Church Irrelevant? Which Modern Church is Most Like The Early Church? D.A. Carson: Is The Seeker-Sensitive Church Model Hurting The Church? Great Resource Alert: The Writings of the Early Church All In One Place and FREE! Why I Read the Early Church Fathers and You Should Too! Discover The Early Church – “We Don’t Speak Great Things – We Live Them! The God of Calvinism and A Calvinists translation of John 3:16-18? What a Prayer! Not Bad for Being 1600 Years old! Will The Non-Conformists Please Rise Up? What is Your Life Centered On? Overcoming Temptation: Just Say No! 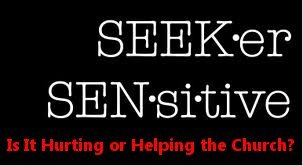 Would the Apostle Paul Plant a Seeker-Sensitive Church? A Quick and Easy Homemade Lemonade Recipe That Anyone Can Make!